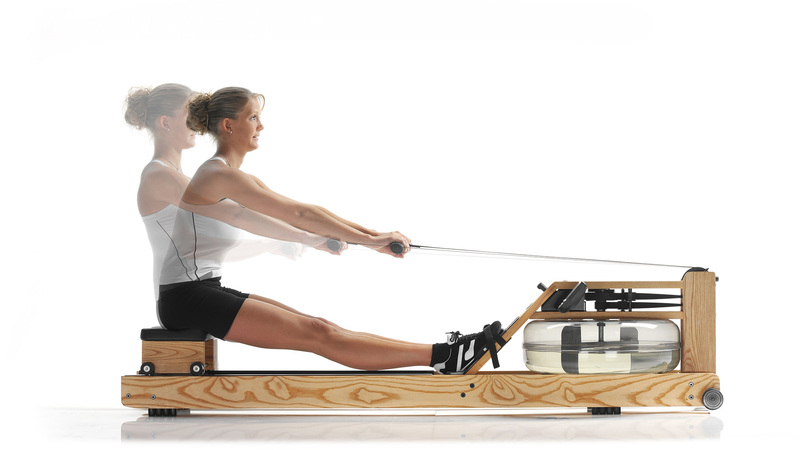 In which ways are rowing machines superior to other fitness equipment and why is rowing so effective? 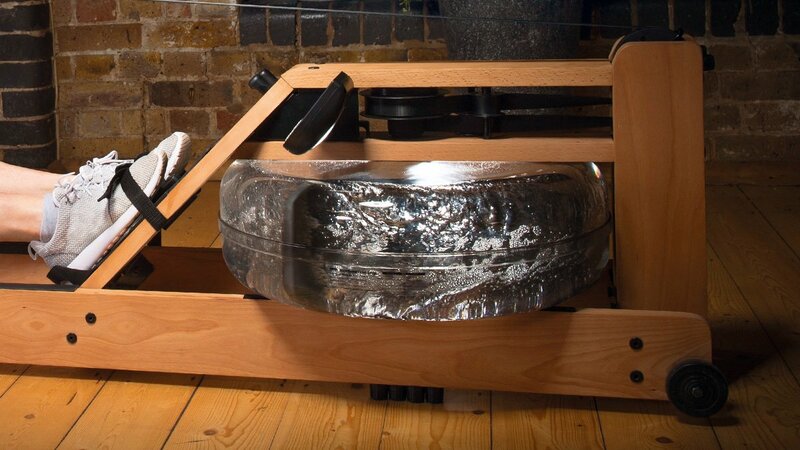 Enjoy WaterRower’s full-body workout for the results you want from your exercise and fitness routine - this machine trains strength and endurance in perfect proportion. 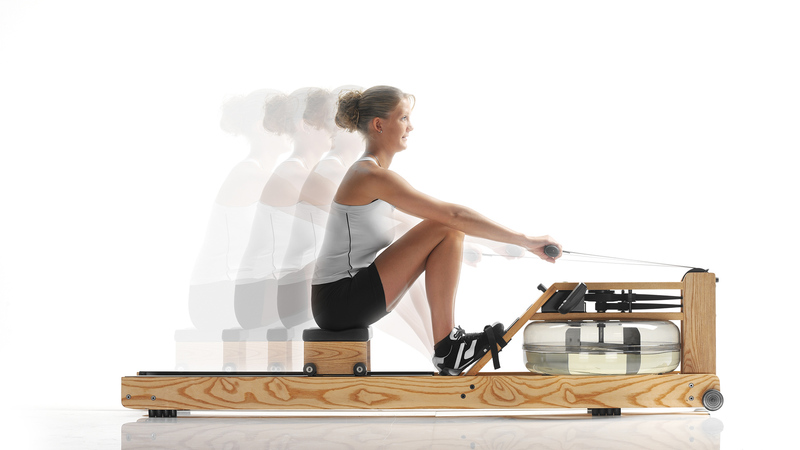 A rowing workout uses 84% of the body’s musculature, simultaneously, conditioning posture and cardiac cycle, as well as improving metabolism. 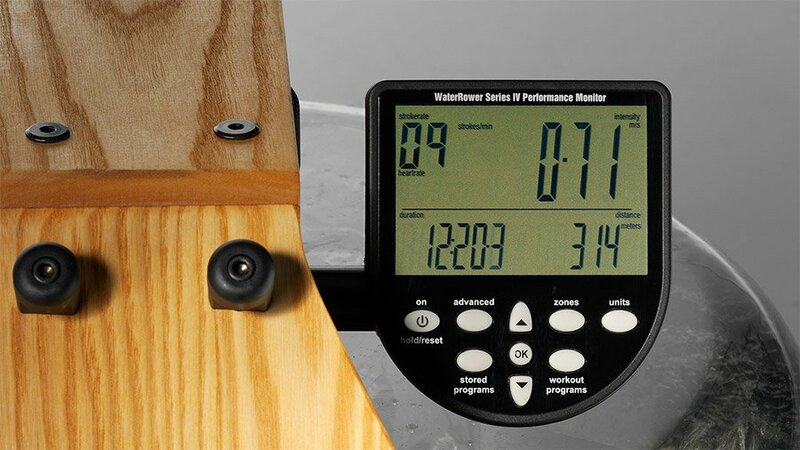 The selection of rowing machine brands and models is broad. 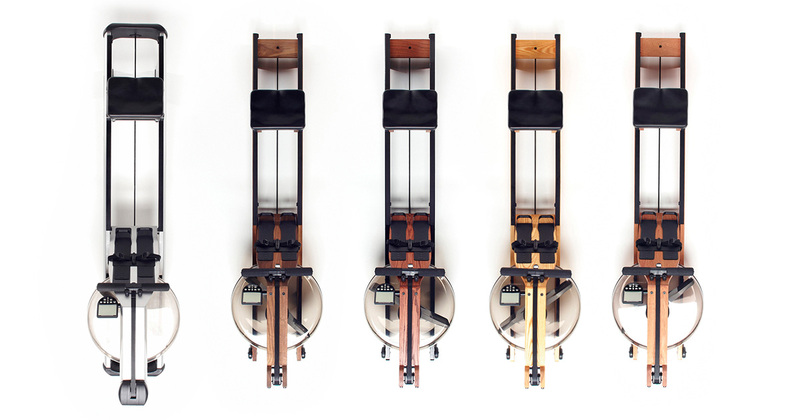 However, if one carefully compares the ergometers, it becomes quite apparent, the WaterRower machine delivers the most advantages to the user. Aside from the fundamental question of personal fitness and exercise goals, the exercise machine’s resistance system should be closely considered, when thinking of factors such as living situation or exercise space. Rowing machines with an air wheel are effective but are substantially louder when in use, potentially causing disturbance to neighbors or other house or family members. 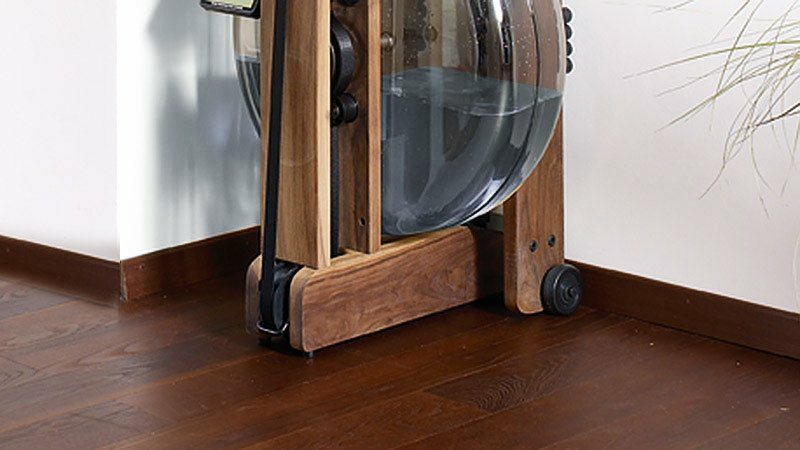 Exercise systems using water resistance are consistently quiet and efficient when in full use. Due to its patented paddle and water tank, exercise intensity is infinitely variable - the harder you pull, the higher the intensity level. 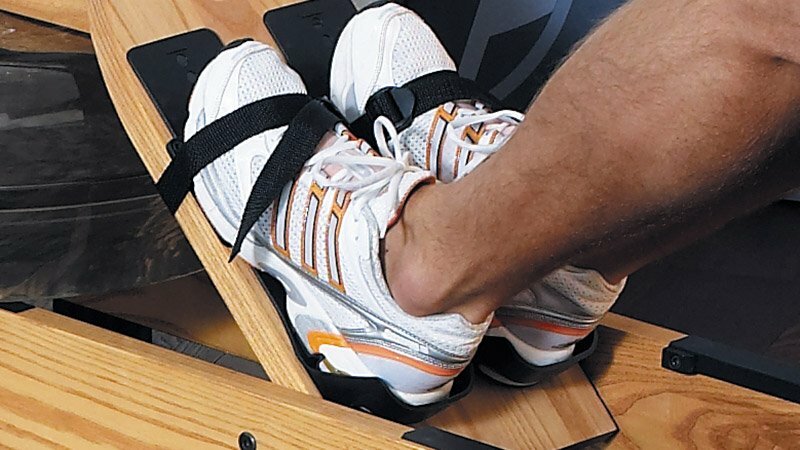 Rowing machines with magnet or hybrid resistance have their own benefits and disadvantages. 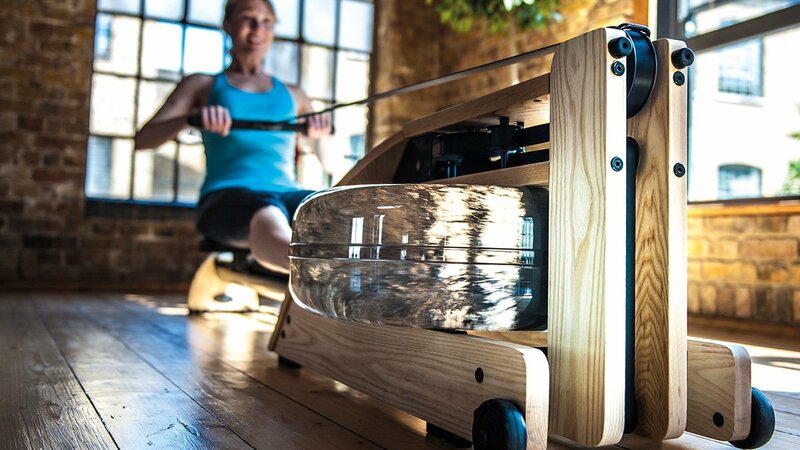 However, these machines do not allow you to regulate the resistance during your workout, unlike rowing with water resistance. Furthermore, inexperienced users will tend to set the resistance at too high a level, often increasing risk of injury. 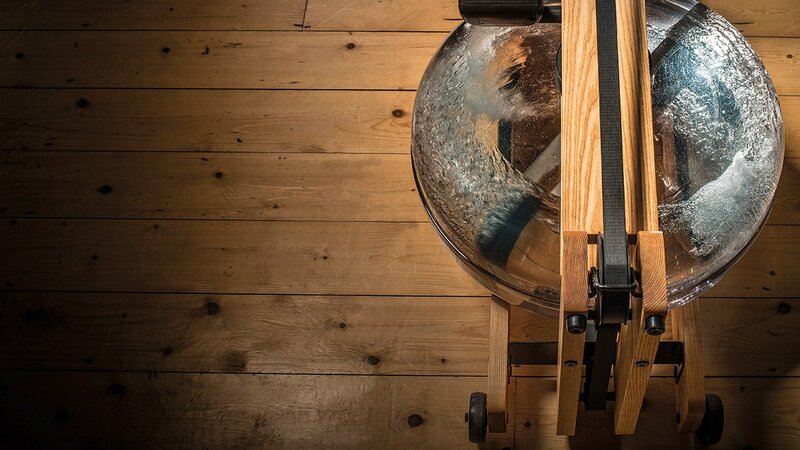 Thanks to water resistance, the WaterRower can provide a demanding, yet joint-friendly, full-body workout for users of all fitness levels. 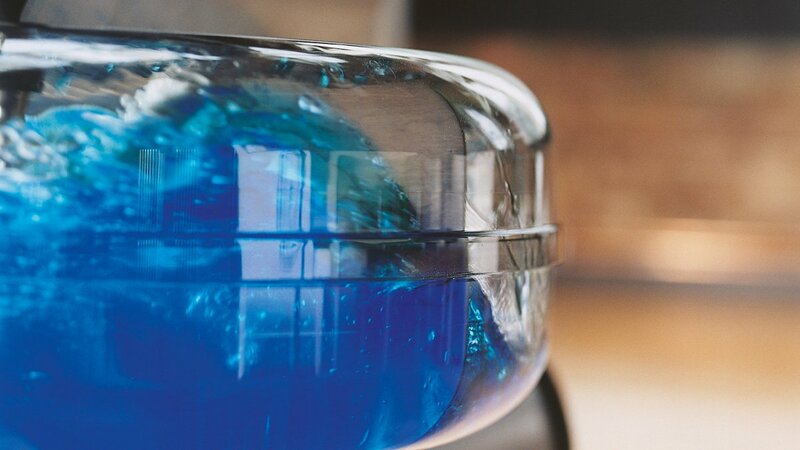 The rushing of water to the beat of your stroke is a pure sensory pleasure during your workout. What happens to your equipment, post-workout? Do you keep it in a back room? Basement? Or is it part of your interior design? 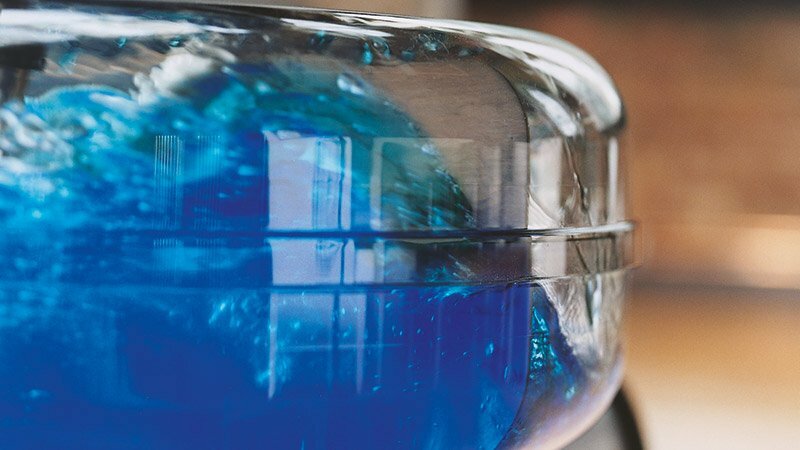 The trend is increasingly heading toward „fitness furnishings“ - sports equipment which is integrated into your everyday life. 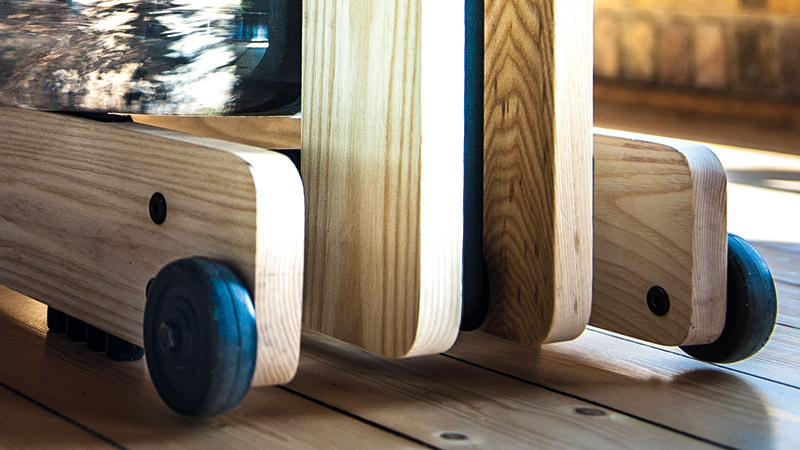 A workout machine, made of high-quality, solid wood, which can be moved in any direction and stood upright against a wall is highly commendable. 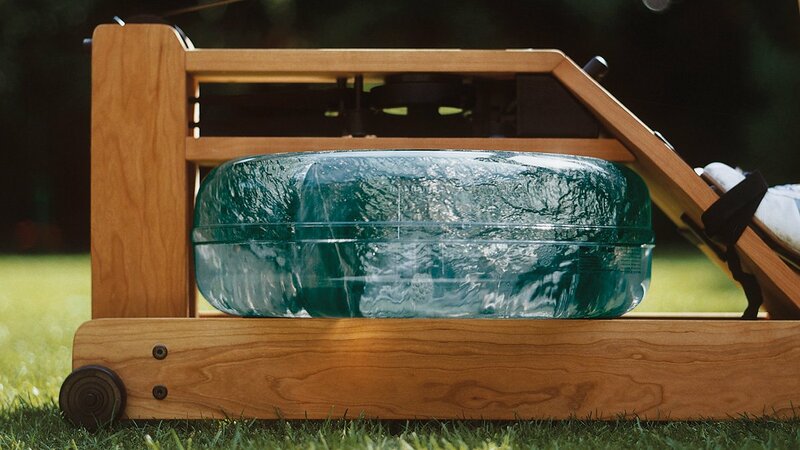 Each piece of wood used for a WaterRower machine is exclusively selected from sustainably managed forests in the USA. 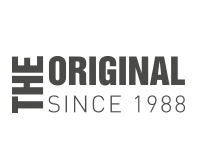 Only guaranteed young and smooth heartwood is used and processed by environmentally conscious methods. 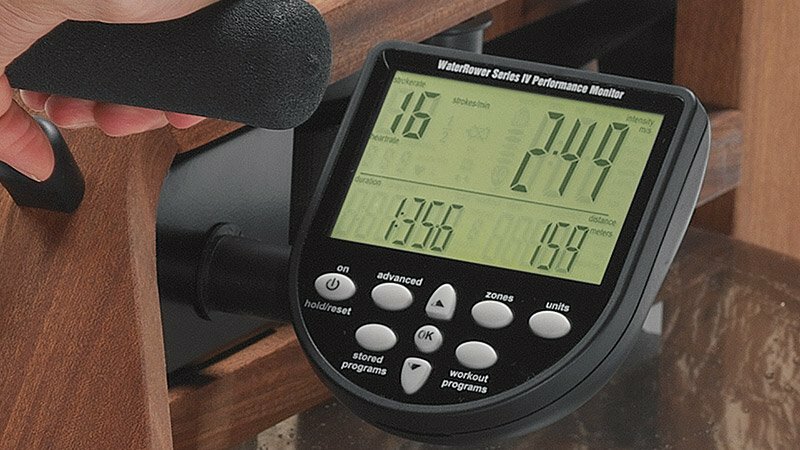 Wood is a natural resource which can deviate in color and consistency from tree to tree, hence rendering your WaterRower its unique status. 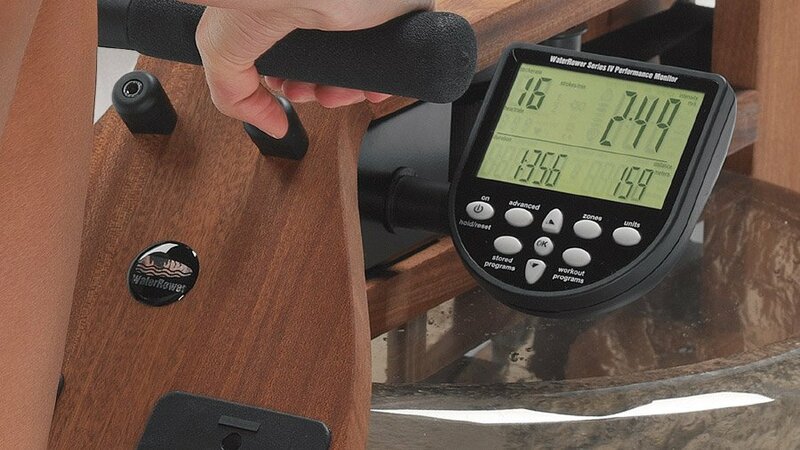 A WaterRower rowing machine is not a disposable piece of fitness equipment, but rather a high-end element of style. Physical inactivity is one of the major risk factors for illness caused by today’s lifestyle, like chronic back pain or osteoarthritis of the joints. The right kind of activity, as well as the frequency with which you exercise will ensure that you remain energetic and flexible in the long run. 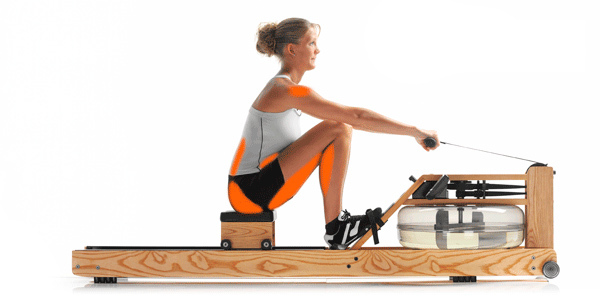 Exercising on a WaterRower can result in 50 total movements per minute. 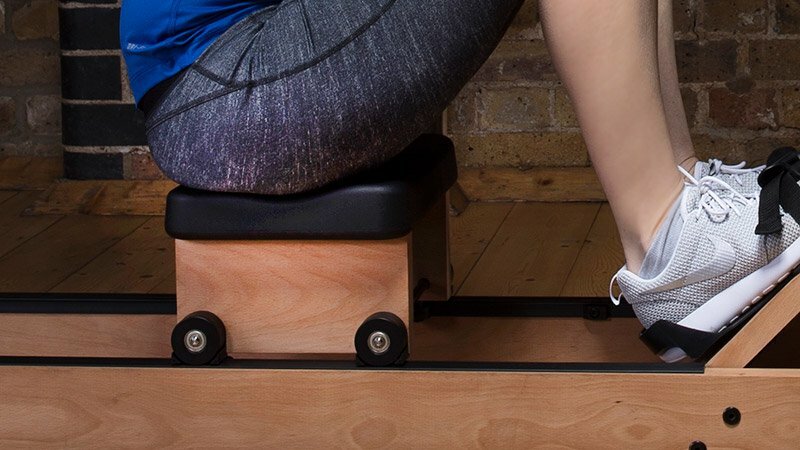 This is an excellent figure that will help you prevent a wide range of health issues connected to today’s lifestyle - all thanks to rowing’s highly effective motion impulses on your joints. 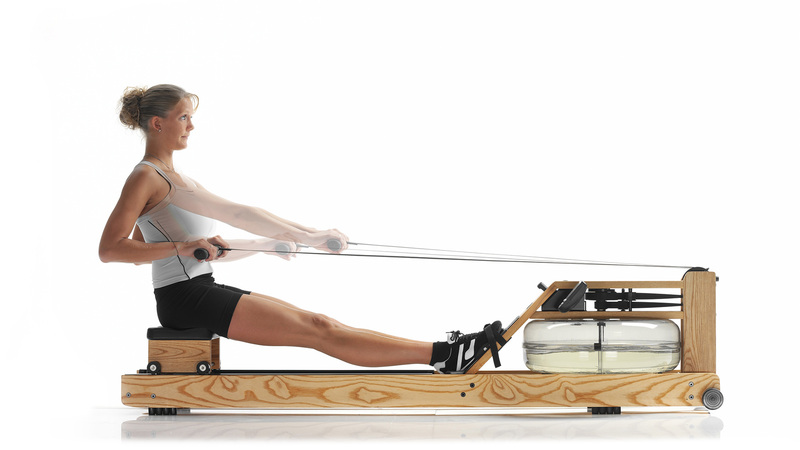 Rowing guarantees low-impact training with its fluid and smooth movement protecting your joints. There are no jerking twists or jumps, yet the movement remains intense and demanding. 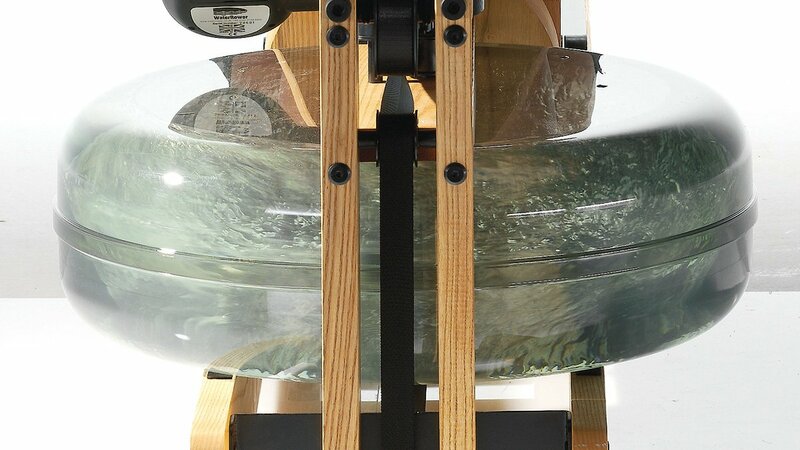 There is an exceptionally low risk of over-straining, with the WaterRower’s patented WaterFlywheel and self-determining water resistance. Train consistently for fast and measurable results in resilience and performance. Caution: Rowing machines based on conventional resistance methods may harm your joints. 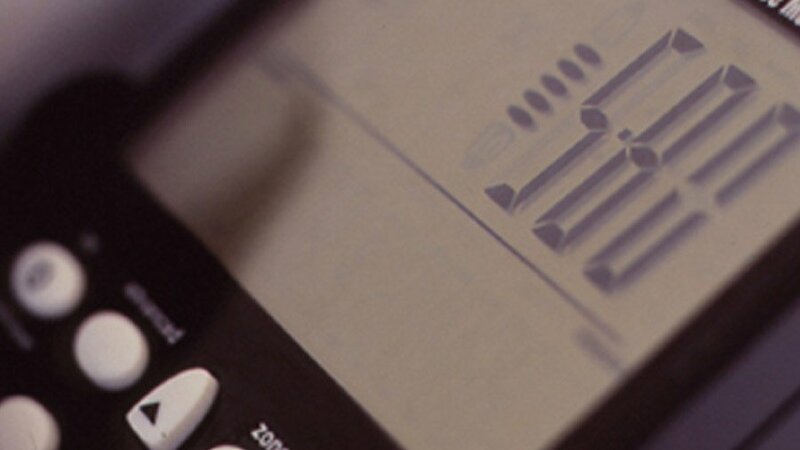 WaterRower’s signature water resistance is completely self-determined by the user. Resistance increases and decreases automatically to your individual strength input, resulting in a consistently healthy, smooth and enjoyable workout. 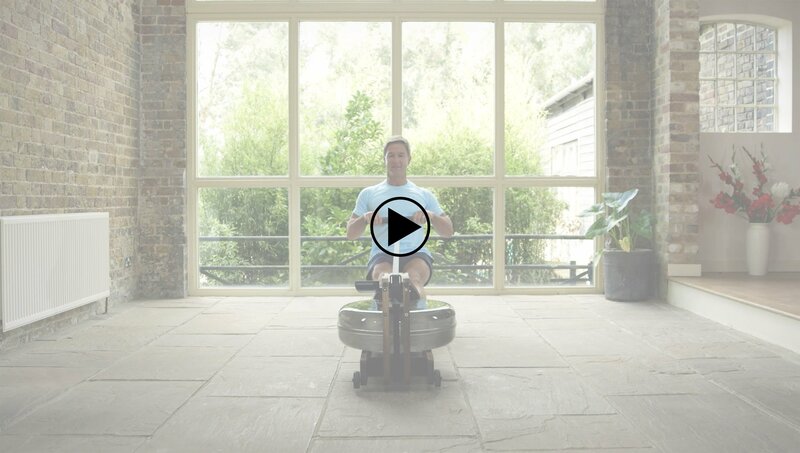 Rowing exercise engages 84% of your muscular system, including abs, glutes, back and legs. 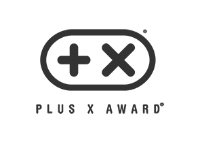 Hardly any other endurance sport proves this effective, making rowing a complete, full-body workout, suitable for efficiently increasing overall condition. 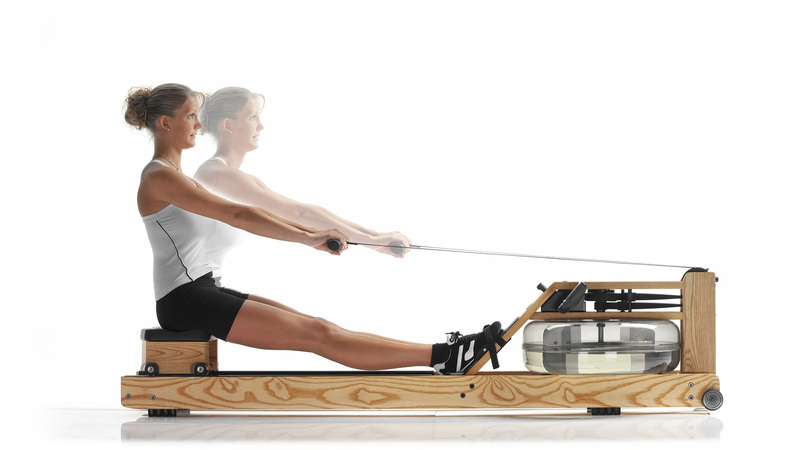 Rowing exercise further promotes functional muscles. Ideally, muscles should be resilient to enhance overall performance, while also supporting optimal posture. Thanks to rowing’s many specific demands on the body, this kind of training will ensure an efficient cardiovascular workout. Combined with a high calorie burning effect, a rowing workout remains superior to stationary bike or crosswalk exercise- not to mention: rowing against water resistance has a huge fun factor. Rowing is a gentle, flowing, continuous motion. Each stroke should be performed without interruption in order to achieve maximum benefits of this fluid workout. Avoid sudden or jerky movements. Each stroke should flow continuously into the next. 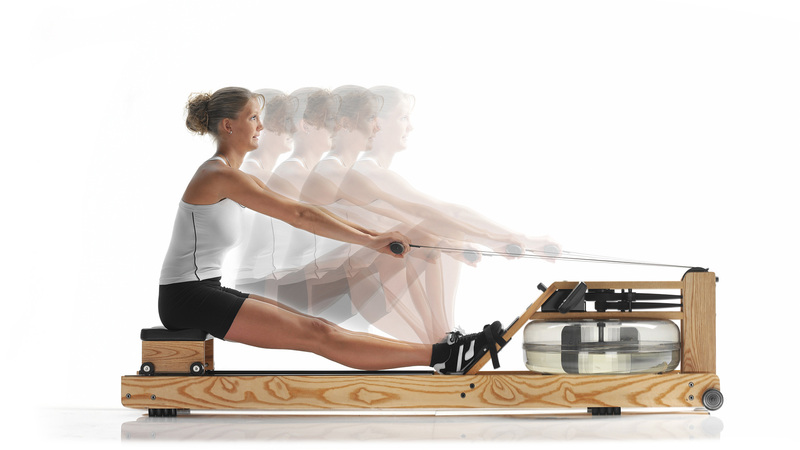 The correct rowing technique consists of the effective combination of two fundamental phases. 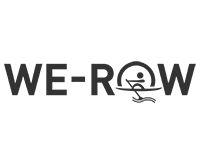 The starting position of the recovery phase is the point of the end of the pull phase. 1. The rowing motion starts with outstretched arms. 2. Now the upper body moves forward. 3. Body moves into compact, front position.